Girls do you know besides picking up the right dress for an important event, accessories can be used to enhance our look & style that we want to portray. Accessories is a great way to help us to recycle our wardrobe, wearing different accessories to pair with our clothes gives different look & feel. Although I have a lot of accessories at home but there are days where I ran out of ideas how to mix & match my accessories and I really wish I got a personal stylist with me. Well not all of us can afford to hire personal stylist hence Fashion Culture Box a monthly fashion subscription box in Malaysia is here to help you. 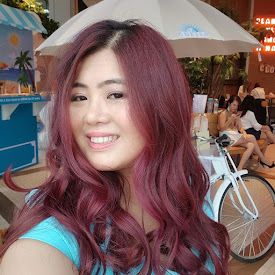 Every month they are offering 3 exciting styles for subscribers to choose and with just RM58 per box, subscriber will receive fashion items and beauty products that fit the style that they picked. 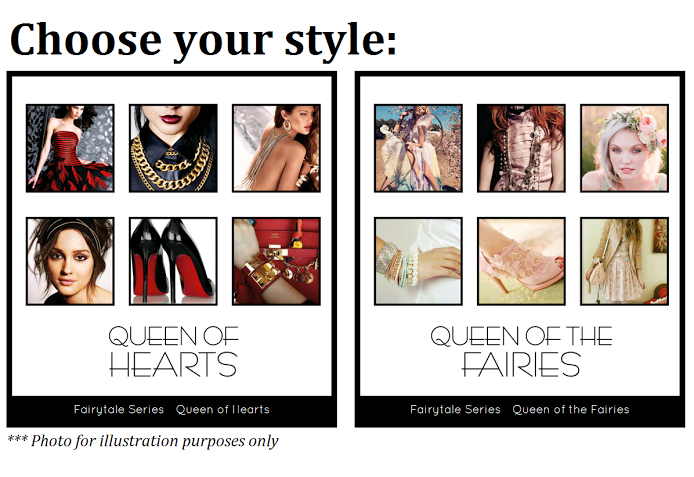 And I have asked to pick which style would I like to have for the debut box and I picked Queen of Fairies since I have a number of lace dress which I do not know how to match with any accessories. In the box, there are 4 fashion accessories and 2 beauty products which is Bloop Nail Polish in Pink and Timeless Truth Snail Extract with Sakura Repairing Mask.To me these beauty products are a bonus to the box. 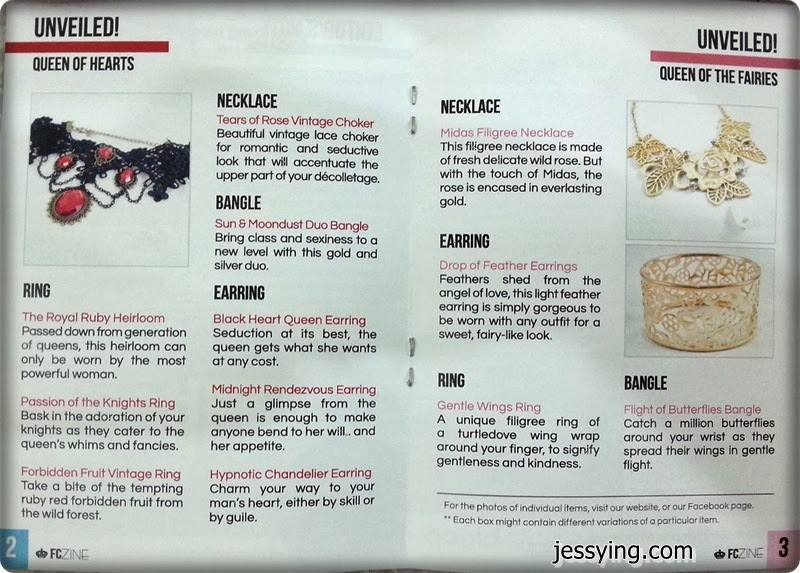 They also include a booklet to describe the accessories and also on the left showed what are in Queen of Hearts Style box..that red lace chocker definitely caught my attention! A close up of Queen of Fairies style accessories. 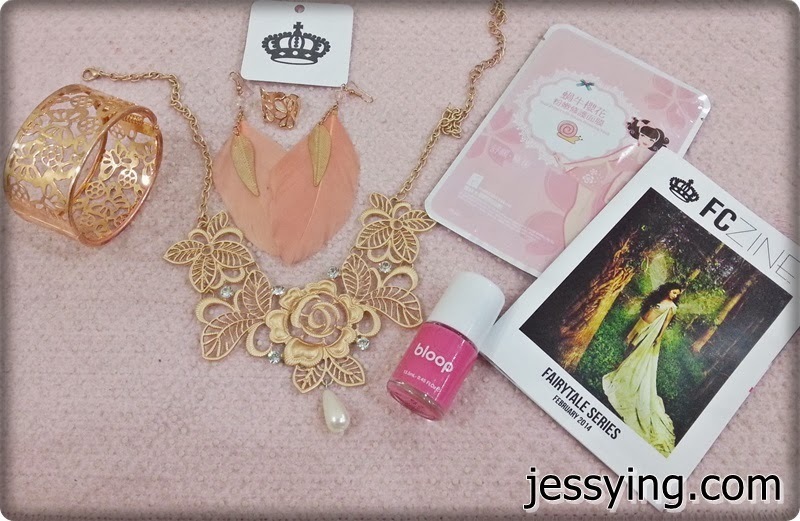 The colour theme is gold & sweet peach. The Midas Filigree Necklace is made of fresh wild rose with a hanging pearl at the bottom. The quality of the necklace is quite fine and looks lighter than it is. Don't you think it matches nicely with my flower motif lace dress! 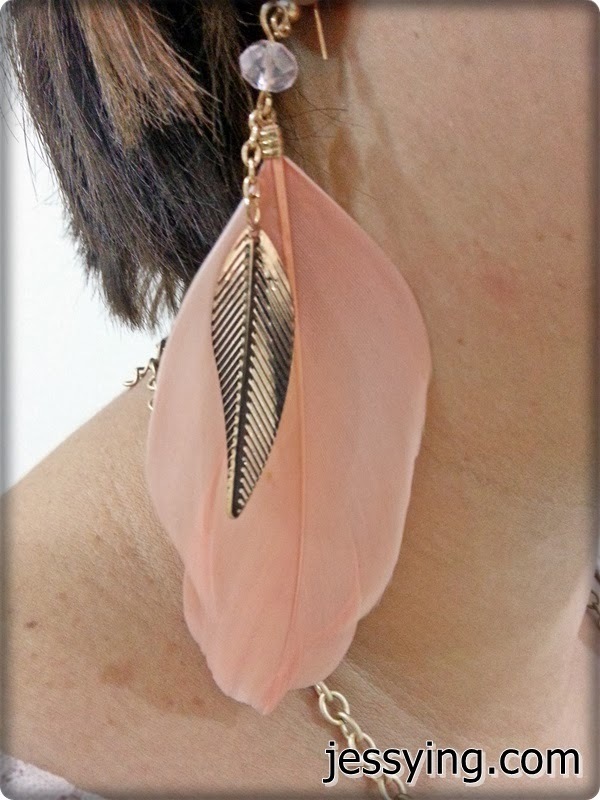 Dropped of Feather Earrings in peach colour. Love the colour very much. 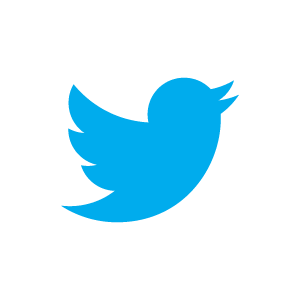 Got to be careful with feather earrings because they are easily damaged. My advice is to keep them separately in zip lock when storing them up. Flight of Butterflies Bangle & Gentle Wing Ring. Of all the accessories given, I love the bangle the most as the one that I wanted is so overpriced. Plus this has very beautiful butterfly motifs! To be honest I'm quite sceptical when I first heard this fashion box concept because I am concern about thee quality of the accessories. After seeing the accessories given, I think Fashion Culture Box has quite a good taste and standard in picking the accessories for themes that they offered. The 4 accessories matches with the theme given and we can either use them all at once or mix and match. I would this Fashion Culture Box Debut Box is definitely worth the RM58. And if you are one who do not know much how to style using accessories, Fashion Culture Box is definitely a good one for you to subscribe. Fashion Culture Box is now opened for subscription and I'm contemplating whether to subscribe their Travel Series : "Beach Holiday" March theme box since I would be going to Boracay in April!